The waters around Cayo Santa Maria are part of the Buenavista Biosphere Reserve. All fishing and marine harvesting are highly regulated here and as a result, the shallow reefs and deep drop-offs around the islands make up one of Cuba’s healthiest marine ecosystems. The island’s structure and clear protected water means there are mild currents and thriving marine life. Year-round water temperatures average 27 C and visibility easily reaches 30 metres! With almost 500 species of fish and 200 varieties of coral and sponges, there’s also plenty to see. 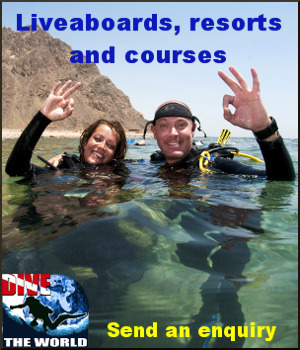 The 24 established dive sites range in depth from 20 to 30 metres. They feature coralline gardens, caves, vertical walls, tunnels and shipwreck remains. Some of the top dive sites include Fragoso, Cobo, Frances Frenchman’s, Las Brujas “Witches,” Borracho Drunkard’s, Espanol de Afuera, Los Diablillos “Little Devils” Ensenachos and Santa Maria Cay. It is located at the western edge of the Camagüey Archipelago in Cuba’s Villa Clara province. Linked to the mainland via a causeway, the 13-square kilometre cay is Cuba’s newest resort area and one of the country’s best-kept secrets. With only seven all-inclusive resorts and no towns, it remains largely development-free. This secluded area is a perfect option if you prefer to lay back and relax on hammocks or beach chairs. After you work on your tan, explore the waters around the cays, which are full of sport fish like permit, tarpon and bonefish. The region’s pristine reefs also contain healthy corals and large schools of colourful fish. The entire coastal region of cays and bays make up part of the Buenavista Biosphere Reserve. From above, the northern cays of the Sabana-Camagüey Archipelago look like a string of emeralds, rimmed in white. The small flat cays are known locally as La Rosa Blanca de Jardines del Rey (the white rose of the king’s garden). With more than 50 km of spectacular beaches, the cays are basically large mounds of soft, white sand covered with palm trees and mangroves. You can find nearly 200 species of birds here as well, such as herons, ibis, pelicans, cormorants and oystercatchers. Nearby Santa Clara is the provincial capital and considered Cuba’s most popular revolutionary city. It is affectionately nicknamed La Ciudad del Che (the City of Che) in honour of national icon Ernesto “Che” Guevara. Monuments and historic buildings linked to the revolution are scattered around town. You’ll notice colonial, neoclassical and postmodernist architecture dominate the old downtown around the main square, Parque Vidal. If you enjoy exploring nature, romantic sunsets, colonial history and fun times with the family, Cayo Santa Maria offers plenty of options for a great vacation. Discover the ease of booking All Inclusive Scuba diving packages with WestJet. click to book your underwater getaway today!